Oleksandr Usyk was born in the Soviet Union, in Crimean Oblast in 1987. Boxing was never really at the forefront of his mind when he was a child, opting to play football instead of donning the gloves. But at his father’s suggestion, he started trying boxing at the age of 15. He already had some experience with combat sports, having already been involved in wrestling and other fighting pastimes. However, he was discouraged when he lost his first fight. But he was encouraged to continue and things started to improve. Many past legends of boxing, such as Jack Dempsey and Bernard Hopkins, lost on their pro debut’s and went on to achieve great things, so a bad start does not always mean one is destined for failure in the ring. In any case, he created an illustrious amateur career. Usyk became the 2008 lightweight European amateur champion, 2011 amateur heavyweight world amateur boxing champion and went on to capture a gold medal at the 2012 Olympics held in London. Usyk stepped into the pro ring on September 11th, 2013 and scored a 5th round TKO over Felipe Romero. He won the WBO Inter-Continental title in his 5th contest and made four defenses. He had to be taken out of his comfort zone of fighting in the Ukraine for his first world title opportunity against Krzysztof Glowacki! Nevertheless, he put on a brilliant technical display and won the WBO world title by a unanimous decision in Poland, the now former champion’s homeland. Usyk made his American debut late last year, stopping Thabiso Mchunu in 9 rounds to retain his strap. He went the distance for only the second time in his career in his next fight, also held in the US, against Michael Hunter. 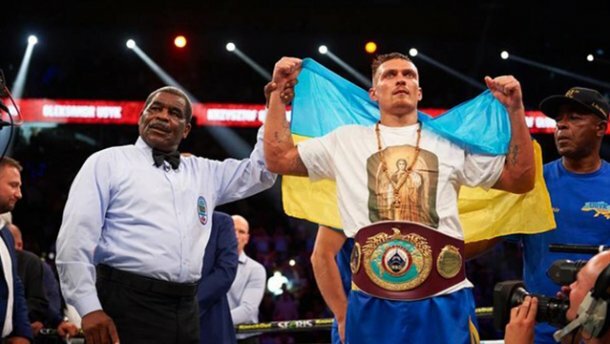 It was recently announced that Usyk will be entering the World Boxing Super Series, orchestrated by promoters Richard Schaefer and Kalle Sauerland, for the Muhammad Ali trophy that will be presented to the winner. His first opponent will be the always exciting Marco Huck, a fight that is scheduled for September 9th in Germany.For those that expect an Anthony Joshua type boxer who knocks out everybody left, right and centre with little effort may be disappointed. Usyk likes to use his jab followed up often by left hooks to the head and body, but he does tend to have issues with anybody with a good jab and a high work rate. Although he has stopped 10 of his 12 opponents so far, he normally has to make a lot of effort to get the stoppage victory. He isn’t blessed with the type of power that Mike Tyson electrified so many with. Though, this has worked in his favour! A boxer with good technical skills and the type of punching power that has the capability to end proceedings makes one all the more challenging to deal with! In regards to his personal life, Usyk has three children with his wife, Yekaterina.Two of his three kids watch him train which brings the current champion some comfort. Some of Usyk’s favourite hobbies include taking long walks with his family and going to the theatre. He also has a keen interest in psychology. His boxing idol, unsurprisingly, is Muhammad Ali, a figure that inspires so many to begin professional boxing. 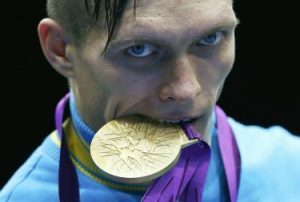 It is too bad that the cruiserweight division are weight classes that the general public do not take a keen interest in because somebody like Oleksandr Usyk, a former Olympic gold medalist, deserves all the attention he can get! The basis for the casuals fascination with the heavyweight division is mainly fallacious. Unfortunately, a fighter that campaigns in lighter weight classes normally needs to go that extra mile to attract attention. Naseem Hamed incorporated extensive showmanship, which was a clever move on his part. Morally it isn’t right, but things are the way they are. Oleksandr Usyk’s presence in the sport of boxing will matter to those who desire to watch him the most. And it is sure to be an interesting ride.